We have a cozy and quiet environment for vocalists. Our booth is well treated and we have a great selection of equipment that will give your vocals that industry polished sound. We record directly to Pro Tools HD 11 giving you the best quality on industry standard equipment. > Prices start at $50 / hour. After the recording process we have experienced staff to edit and mix your song to perfection. We can turn a finished and mixed song ready for mastering direct to email or Dropbox. Your mix will be provided in different versions (ex. Dirty, Clean, Instrumental) and you only pay when you are completely satisfied with how your record sounds. > Prices start at $150 / song. In order for your music to be ready for play in a large venue or on radio you have to get the final mixes for your project mastered. We provide quality mastering to get your project to sound cohesive and at a level to keep up with other major label releases on the radio. > Prices start at $50 / song. The console is the centerpiece and hub of a recording studio. Our Avid C24 Console gives us great control over your sound and fully integrates with Pro Tools. The marriage of control surface and software provides a fast and efficient workflow that keeps recording sessions moving at a great pace. Microphones are the ears to your music. We have a world class microphone selection that is second to no one. The sound that we capture for vocalists is radio ready. Computers software and hardware are a crucial element in modern music production. We run industry standard Pro Tools HD 11 with an Avid HD Omni Converter that captures your music with absolute clarity. We have an excellent selection of plug-ins from companies like Waves, Antares, Celemony and much more. Our outboard selection of preamps and effects provide a great treatment for your sound. We have some of the best modern and classic designs, giving us a great palette of tones to add to your sound. Accurate monitors let you make the best decisions about your music. 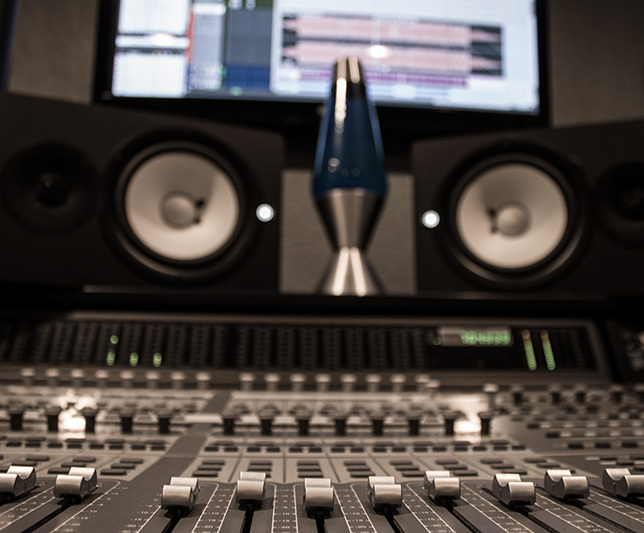 Our studio monitors provide and accurate listening environment for you to hear everything about your music. Our lounge helps you relax and feel at home while you work on your music. We have a comfortable lounge area equipped with a spacious sofa, flat screen television with Netflix and an Xbox. We also welcome our guests to our complementary refreshments including hot coffee, tea, soda and water. Our private and comfortable atmosphere is one of the most unique and appreciated feature about our studio.